Graded GD 2 by PSA. Hall of Famer, in a treasured Rookie Card depiction. Presented is an icon of the collecting hobby, in the form of the universally desired '52 Topps portrayal of Mickey Mantle. 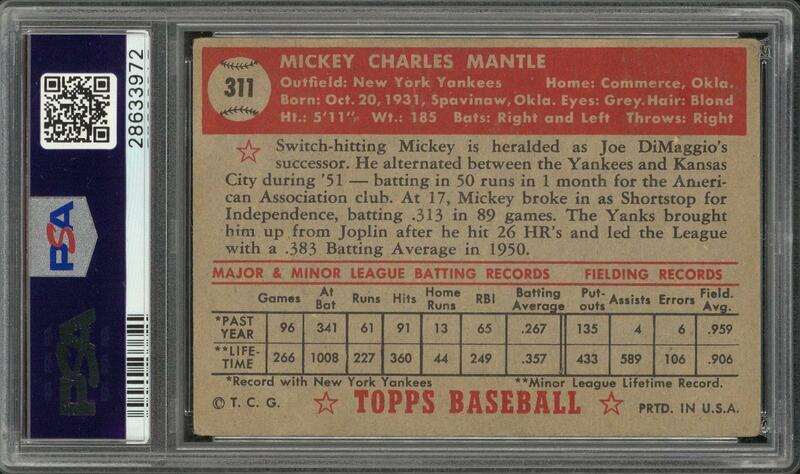 The Yankee slugger's 1952 Topps card is one of the true touchstones of our hobby and is instantly recognized, even by non-collectors. 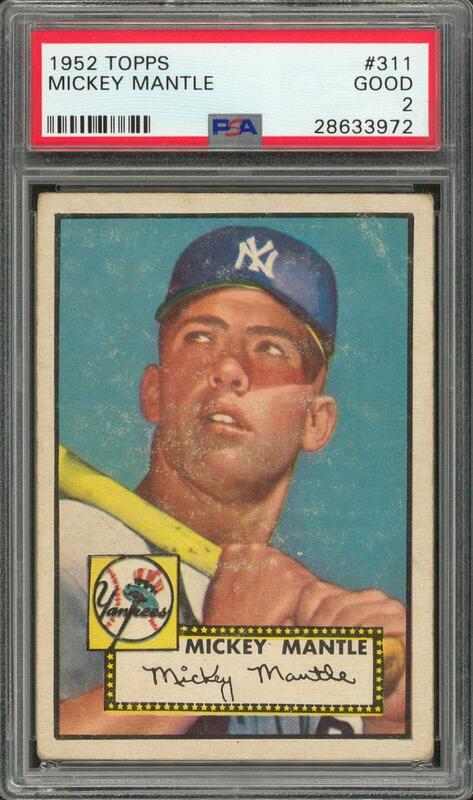 Every enthusiast covets a Topps "rookie" card of Mickey Mantle, and no serious 1950's baseball card collection can be considered complete without one. 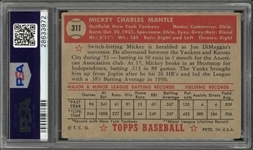 The offered example stands as a relatively affordable, modestly graded specimen that exhibits splendid coloration in every aspect of the all-important player image. The piece reveals natural effects of handling, primarily in scattered and nearly invisible touches of wrinkling/creasing and small areas of superficial scuffing: the collectible has clearly been held and revered, but not abused. The still well-shaped corners exhibit natural and moderate wear, and centering is extremely precise for the issue. The card's back is clean. A worthy and very presentable survivor, in conservatively assessed Good condition.